Redoes the PerMa perk descriptions to add the detailed info as well as the original descriptions. This mod just changes the work that t3nd0 created. Refer to Perkus Maximus permissions before doing anything with this file. But on my end, if anyone wants to keep this updated and I am not doing so, feel free to update or use it for whatever you want. Fixed Baneful Elan's Description to properly show percent chance. It is shown incorrectly in the PerMa Documentation. 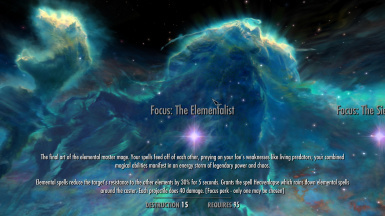 Using a version of this mod that is older than the current PerMa version will revert all the perk changes to the old version. I suggest you not use this unless it has been updated for the newest version. I will try to use the same version numbers as PerMa so you know if it is updated or not. 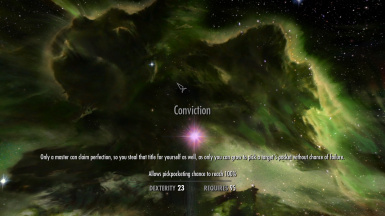 This mod fills the same purpose that PerMa Extended Perk Descriptions did. When I saw that mod taken down, I decided to make this mod to fill it's place. I really love t3nd0's original perk descriptions. They give a specific roleplaying feeling to each perk that cannot be replicated by just the numbers. They are well thought out and in my opinion, add to the experience. I also like to know exactly what I'm getting out of each perk point spent and how to get the best use out of it. So this mod keeps the original descriptions but also adds the exact numbers and necessary information to each perk. The pictures have examples of the format I used and what exactly it does. I went through every single perk to add the information provided in the documentation. I also fixed any spelling errors I found in the original descriptions. There are bound to still be some grammatical or formatting errors. If you see any, let me know and I will fix them in the updates. 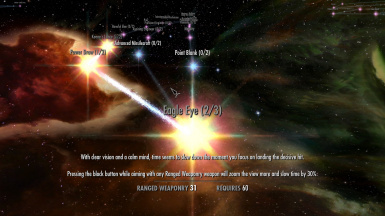 This mod does require Extended UI. Without it, you will not be able to read many of the full descriptions. It is not dependent on Extended UI but it is important that you have it installed. This mod needs to be loaded after all PerMa modules. It is dependent on all the PerMa modules so if you aren't using all of them, this will cause a ctd because of missing masters. 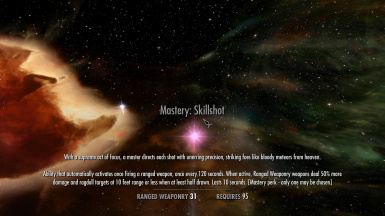 This mod is not compatible with mods that edit the PerMa perks. They will override these descriptions but it is nothing game breaking. t3nd0 for Perkus Maximus. The amount of time, thought and work put into this mod is incredible. After looking through it and kind of seeing how everything works, I was blown away. Serious serious thanks for this incredible mod. MrJack/mrpwn for Extended UI. Without that mod, these descriptions would not be possible and the new perk menu provides more helpful info than vanilla.